In the invasion of French coast by the 29th Infantry Division, the 29th Signal Company played a prominent part in establishing and maintaining communications in support of the assault forces. The company was divided into three operating echelons as follows: Advance Division Headquarters Group, Division Headquarters, and Division Rear Group. The advance Group consisted of two officers and forty-six enlisted men with signal equipment necessary to establish a CP ashore. The first element of the Advance Group of the 29th Signal Company landed on Easy Green Beach, Normandy, France, on D-Day at approximately 0900 hours, 6th of June 1944 while the beach was under constant artillery and small arms fire. First communications were established at Brigadier General Cota’s initial CP located in defilade on the beach some twenty-five yards from the water line. Contact with 1st US Infantry Division, 116th Infantry Regiment and the Engineer Shore Brigade was established by radio at 0930 hours. At 1400 B hours the CP was moved inland some three hundred yards under shelter of a bluff overlooking the beach. At 1700 hours the CP was again moved inland to the outskirts of Saint-Laurent-sur-Mer, where wire communications were established to V Corps, 1st US Infantry Division, 116th Infantry Regiment, and the Engineer Shore Brigade. 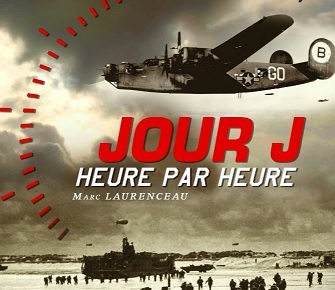 Communications were maintained through the night of D-Day and D+1 under most hazardous conditions and at 1600 B hours, 7th June 1944 the Advance CP Group rejoined the main Division CP located in a rock quarry one hundred yards from the beach on the road leading from the beach exit to Vierville-sur-Mer. At approximately 2000 B hours 8th June 1944, the 29th Division CP was established in a chateau in Vierville-sur-Mer. Throughout the 8th June 1944, the main Division Headquarters Group of the Signal Company landed on Dog Red Beach, Normandy, France, after remaining afloat off the beaches since 6th June. Signal communications for the new Division CP were installed immediately in Vierville-sur-Mer. Signal Company personnel installed, maintained, and operated communications for the Division CP and from Division CP to the regiments. Moving with Division Headquarters, the Signal Company established bivouacs at Vierville-sur-Mer, Longueville, Castilly, Fosse-aux-Loups, Govin, and Les Mieux (near St. Clair sur l’Elle). A detachment from the Company was with the 175th Infantry Regiment during the capture and securing of the important town of Isigny. 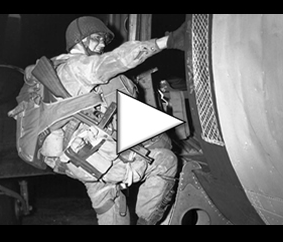 On 16th June 1944 beginning at 1000B hours and continuing through the day the rear elements of the Company landed in Normandy, France. By 1600B hours, 17th June 1944, these elements closed at Govin with the remainder of the Company.